If you are a freelancer with creative skills, you are highly marketable today. 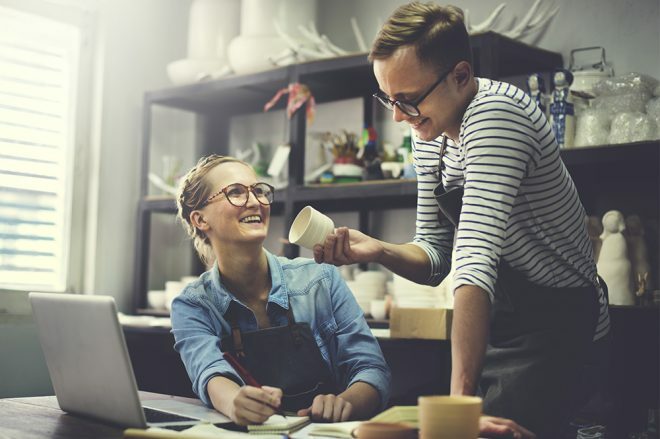 And if you are in a small business needing to hire a freelancer or service provider with creative capabilities, you may find the competition for talent heating up. 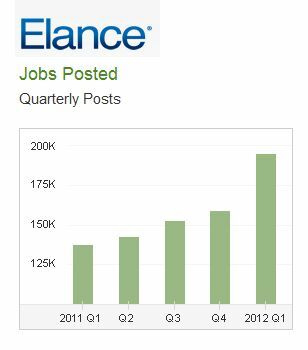 That’s according to the first quarter 2012 Online Employment Report released this morning by Elance, the well-known online marketplace for finding freelance talent and outsourcing work. Notable factoid: demand for business card design is up 51% (who says print is dead?). Go here for a detailed look at more skills in demand. 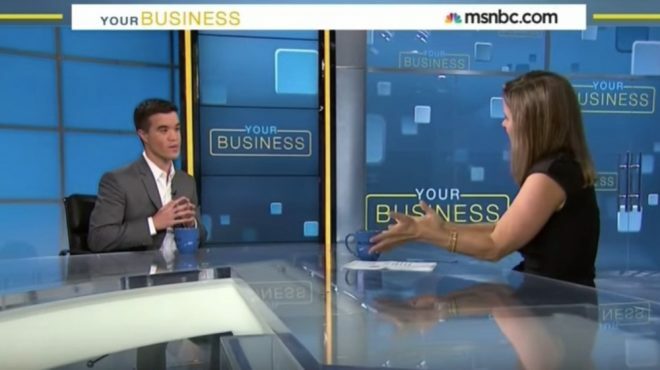 Businesses are Investing in Marketing — Demand for marketing skills grew, too. Q1 of 2012 saw these increases in demand: market research (+49%), branding (+44%) and lead generation (+39%). Social media marketing is also up. Audio and Visual Growth is Strong — As social media sites proliferate, demand grew for skills such as video production (+68%), editing (+56%), and audio editing (+52%). One interesting area: demand for voiceover talent grew 48%. 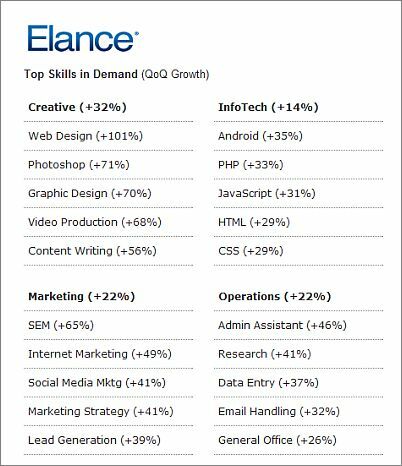 It Is a Web and Mobile World — Information technology continues to the top category of freelance jobs posted on Elance, although growth in that category, while still double digit, was not as significant as the growth in demand for creative skills. Mobile app developers are hot. 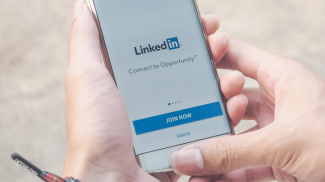 In the words of Fabio Rosati, CEO of Elance, “We believe this data helps people map career and vocational paths in entirely new ways.” I agree — if you want to see where companies are investing their marketing and IT dollars, and where those looking for work should build marketable skills, this Quarterly Report provides helpful signals. Thanks for the post, Anita! Very inspiring and motivating – I love the info + stats. Cheers! 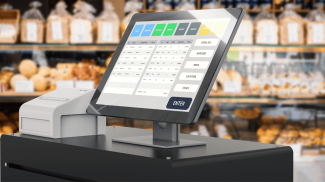 Hi Anders, Be sure to check out the full Elance report — some fascinating and useful statistics there. If you’re a manager trying to justify a new project, you can show the types of projects other companies are investing in. If you run a marketing or design agency, or a software or Web development firm, it gives clues as to the types of services you should be offering. And if you’re a freelancer or professional, you have an idea of the skills you need to reinforce, develop or tell the world about. I make a living as a freelance animator here in the U.S. Elance hurts the freelance industry in the U.S. by letting companies outsource even the simplest graphical task overseas. A web developer here in the states cannot compete with a guy in New Delhi charging $5 an hour for web design. U.S. companies are advertising on Elance for full architectural renders, exterior and interior, and animated walk-throughs (all three of these things, mind you) for less than $500. There should be AT LEAST an extra zero added to that fee for quality work done here in the U.S. You say here in your article “how much in demand these skills are”. Yes, they are in demand. What you don’t say is how Elance enables business people (who really don’t understand the creative process, and the amount of work and time that goes into it)to send money overseas, even if that money is ridiculously low and unrealistic. I think if you actually knew the damage Elance and other “freelance” websites are causing, you wouldn’t feature them on your website.